The Chronicles of Narnia by C.S. Lewis. Originally published between 1950 and 1956, this children’s classic series has become the author’s best-known work. It has sold over 100 million copies in 47 languages (thanks wikipedia for these fun facts). This was only my second time reading them – although as a home-schooler, I feel like I should have grown up reading them. Ha. But! I’m so glad I’ve been introduced to them now as an adult. There are seven in all, and while there is some disagreement on how they should be read – chronologically or the order in which Lewis wrote them, I’m not sure it matters too much. I think it comes down to personal preference. But, let me give you an overview of this series. Each book chronicles adventures in the land of Narnia. Aslan’s country. Each time that the country faces real threat, children from our world are called to help. It takes courage and faith for these children to succeed at their tasks. They meet many friends, and many foes, along their journeys. From The Magician’s Nephew, we see the creation of Narnia and follow its entire history until it’s destruction in The Last Battle. I highly recommend these books, for any age. The lessons within are great for when reading aloud to kids, or even as reminders for adults. If you haven’t read this series, I suggest you give it a try. I jumped around from book to book so much the past month – and then I started some more Brandon Sanderson books and I have a hard time putting them down…So every other book slooowed way down. Jane Eyre by Charlotte Bronte – After a tragic childhood, orphan Jane Eyre emerges with her spirit intact. She takes a governess job at Thornfield, where she meets the enigmatic Mr. Rochester. They fall in love and plan to marry – but then she learns of an obstacle to her happiness. Heartbroken, Jane stays true to herself and seeks a life that offers peace and self-respect, if not love. ~It took me so long to get through this! I had only read this once before and I ended up enjoying it just as much the second time as the first. Her tenacity in staying true to what she knows is right is inspiring. The Lion, the Witch and the Wardrobe (Chronicles of Narnia) by C.S. Lewis – When Lucy Pevensie stumbles into the magical land of Narnia, she meets Mr. Tumnus, who ignores the command of the White Witch and leads her back home again. When she tells her siblings, Peter, Susan and Edmund, they don’t believe her but as luck would have it, they all discover Narnia and meet Aslan, the Great Lion. And that begins an adventure that Lucy and her siblings will never forget. ~I will do a full review of this series once I’ve finished it, but for now, know that I’m thoroughly enjoying this series again – it’s only my second time reading it. I love how Lewis talks to the reader in places. Not every author can pull this off but he does. Collected Poems of Henry David Thoreau – I read a few throughout the book but with all the books I’m currently reading, and nanowrimo starting tomorrow (!) I decided to return this one to the library. I do, however, want to get it again and give it a more thorough going-over. Mistborn series (books 4-6) by Brandon Sanderson – Separate review coming soon! I’m really not figuring I’ll read much this coming month. I do want to finish everything that I’m in though, so that will be more than enough. I’m hoping to spend a lot of time and focus on editing my novel during nanowrimo! Because of that – and Thanksgiving in three weeks! – posting might be a bit spotty. Happy November! I am so very excited about the new look and direction for SGL! As I, even with the best of intentions, rarely posted crafts or recipes, I am going to focus on books, writing (what I’m working on and tips and encouragements), chronic pain management and will be continuing the Virtue Series until the end of the year. So far, these seem to be the topics that you, my lovely readers, are interested in. You will undoubtedly see other changes coming along over the next few months (me being an Amazon associate hopefully will be the first one!). 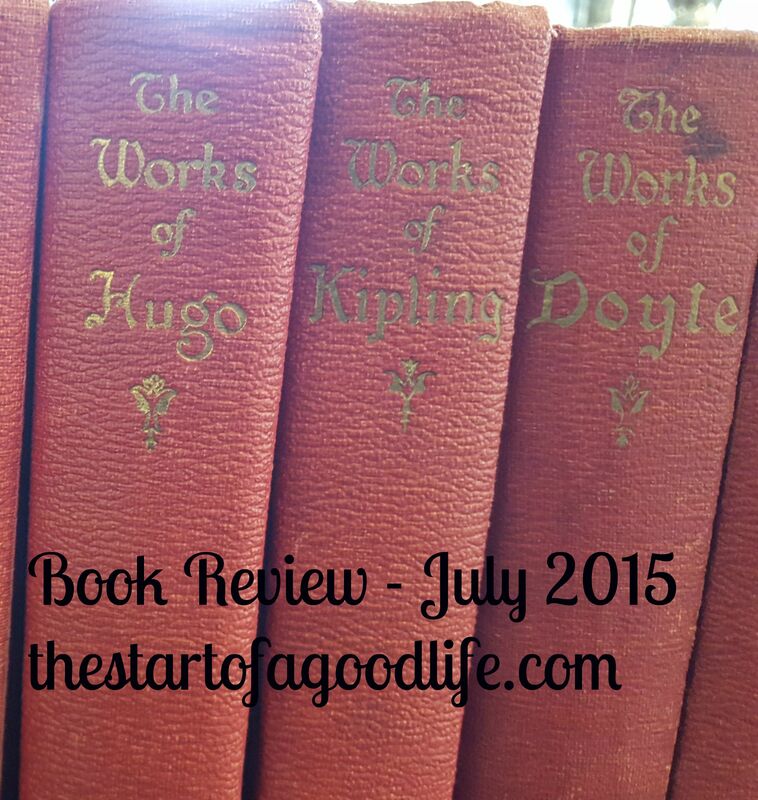 I hope you like this new look and direction – but for today, we have the book review for July. I picked up a few books while at an antique store in Cali on vacation, To Kill a Mockingbird and The Mayor of Casterbridge. The former I read way back in high school and enjoyed it so I am interested in reading it again with a different perspective. The latter ,well, you’ll have to keep reading to hear what I think of it! And yes, I am very excited about Harper Lee’s new book, Go Set a Watchman, but am far too cheap to pay full price for a book. Plus while in Ca, my mom and I got given two bags of novels from my aunt that I have never read any of! Who needs to buy books when you’ve got such family and friends?? The Mayor of Casterbridge – Thomas Hardy – While intoxicated, Michael Henchard sells his wife and young daughter. Upon realizing what he has done, he makes a vow to never drink again. Years pass and he rises up in wealth until he is the Mayor. Unexpectedly reunited with his wife and daughter, the shame that he has always had of his past is now put to right….or is it? ~This was such a great book! Henchard is a tragic hero, always seeming to get in his own way. As I read more of the story, the harder it was to put down! The twists weren’t what I had expected and even the satisfying conclusion followed that pattern. There is a moral lesson being taught throughout, but I won’t spoil it for you – go read it for yourself! Courting Morrow Little – Laura Frantz –Returning home to Kentucky, Morrow Little’s memories of the day Shawnee warriors destroyed her family come back full force. Will dealing with them while taking care of her ailing father, who has befriended two Shawnee, and the chaos of the war between the whites and ‘savages’ , be too much? Will she choose to marry a man she doesn’t love instead of letting go of her bitterness – and betraying the memory of those she loved – and pursue a life with a man of contradictions? ~This Book! Ah, this book. I have never read a book with this setting and story line – the struggle during the war raging in the 1760’s. I got sucked in the first page and was sad when it was over. I will admit to getting upset about 3/4 of the way through that something else had gone wrong. But it was still a great historical-romance-fiction-i’ll-be-reading-it-again-book! The Secret – Charlotte Bronte – A collection of short stories by Charlotte and her siblings are in this light read. Each are set in the imagined world of Verdopolis and are full of intrigue, lies and love. ~It has been fun reading through these again – being full of the beautiful maiden, heroic duke and crafty villian. If you are a fan of the Bronte’s, you must read these as they were written when they were young and still learning their own style of writing. 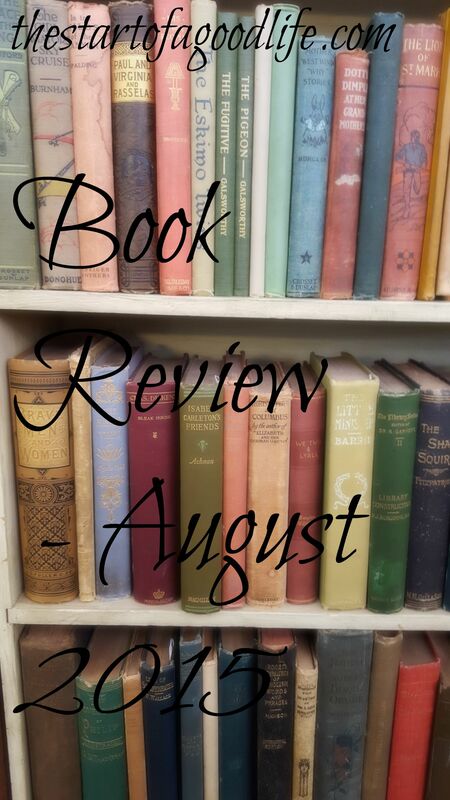 Elantris – Brandon Sanderson – I know, only last month I gave a review on it, but I really hadn’t read it since March/April and it was the PERFECT book to read while on vacation! I loved it just as much the second time, picking up on different things said and referenced, which made it fun. The Sherwood Ring – Elizabeth Marie Pope – After her father dies, Peggy Grahame Is sent to his ancestral home, Rest-and-be-thankful. She meets Pat Thorne, a British scholar , who is promptly tossed out by her Uncle Enos. As she is left to herself, and wondering when she’ll see Pat again, Peggy learns the family’s history, and that the mansion really is haunted! ~This was such a fun read, and due to the fact that I read it while traveling, it was also a quick one! The storyline was unique and the characters – in both modern time and historical – were engaging. I always enjoy a book that can pull off 2 different times. It would be great even for preteens. It is absolutely a book I’m going to be reading again. The Problem of Pain- C.S. Lewis – ” How human suffering raises almost intolerable intellectual problems”- Lewis addresses one of man’s most frustrating questions, why do we suffer if there is a loving God? ~I haven’t finished this book but it has been very good so far. His way of wording things is different enough that I’ve had to go back sometimes and read a section again but that’s not a negative for me. It’s been nice to read about a question that I have struggled with off and on, I’m sure most of us have! Very enlightening and I’m only on the fourth chapter.